Looking for a sauce that has some 'kick' but won't boot you out of the park? Try this sauce for a great compliment on any outdoor cooked foods. You'll know you've reached heaven with this delicious combination of spices. Combine all the ingredients in a stainless steel saucepan. Bring to a boil stirring regularly and simmer for 20-25 minutes. 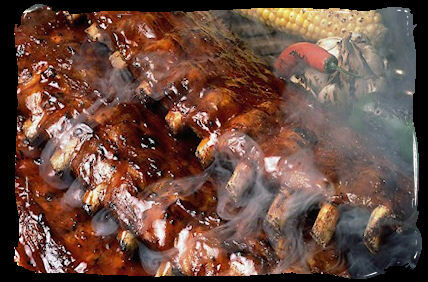 If barbecuing, use on the meat during the last 15 minutes before removing from the pit. If grilling, use only after removing from the grill. Use the remaining sauce at the table for your guests' delight!